10 Reasons to love: Mike Oldfield, Tubular Bells – music waffle. 1) If you think you recognise the start of this, you probably heard it in the horror movie, The Exorcist. 2) Mike Oldfield was the epitome of a musical genius. Something of a child prodigy, he played in various bands throughout his teenage years, and recorded Tubular Bells when he was a mere 19 years old. He played and recorded each instrument separately, which was unusual at the time, Part I being recorded in one week. 3) Although initially rejected by a number of labels, the record famously launched Richard Branson’s Virgin Records and thus his business empire. So the next time the West Coast train is late, you can blame Mike for starting that chain of events. 4) A tubular bell is straight, not the bent shape seen on the album cover. The cover artwork was inspired by a tubular bell which was damaged during recording. 5) When the album was premiered live on the radio by a 25 piece band on June 25th 1973, Oldfield was so nervous that he initially refused to perform. Richard Branson bribed him into it by giving him his Bentley. 6) The compositional complexity and sheer musicianship is staggering. Whilst working as one piece, it goes through changes in mood and tempo. There are repetitive hooks throughout the work, enchanting folk elements and strong prog rock electric guitar. There are times when it gets a little messy and you fear the thread is lost, but it is always re-tied with strong refocusing transitions. The plethora of layering means that every listen reveals some new element (and believe you me, I’ve listened to this thousands of times). 7) My favourite moment is at 12:30 when the gorgeous bluesy guitar tugs at the heartstrings. Bliss. It was this flourish at the end that made Oldfield decide to call the album Tubular Bells. 9) Part II (if you’re a youngster, in the olden days, this was called “the B side”) has further delights, including a bagpipe guitar, country fiddle and the growling voice of Piltdown Man, aka a distorted Mike Oldfield after a bottle of whisky. (Supposedly, Branson wanted lyrics on this masterpiece, so Oldfield, in a fit of pique, stuck the proverbial middle finger up and gave him some. Sort of). Towards the end it meanders into a section where Oldfield shows off his guitar skills and just when you thought you were done, the Sailor’s Hornpipe, which gets to an incredible speed, concludes matters. Didn’t see THAT coming. 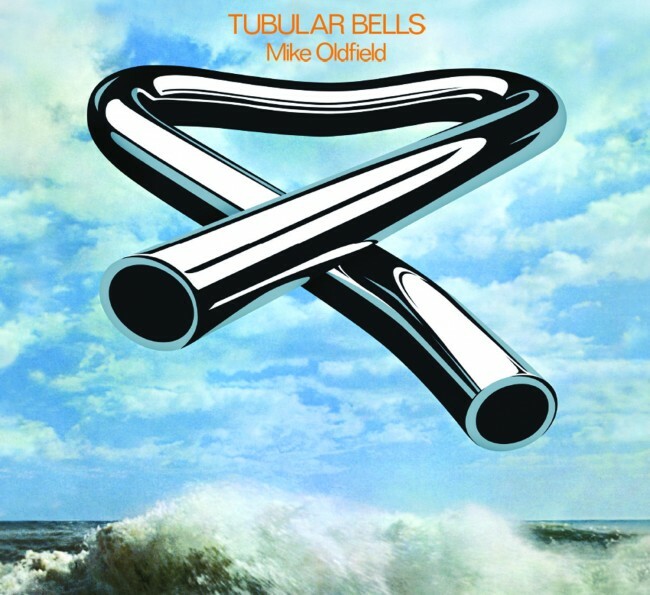 10) Tubular Bells was in the charts for over a year before it became Number One in the album charts. It was kept from the top spot by another of Oldfield’s albums, Hergest Ridge, making Oldfield one of only three artists who beat their own record to Number One. 11) This is a first. A number 11 on 10 Reasons to love. The thing is, this was the soundtrack to my childhood. My father listening to this, and other monumental works by Rick Wakeman, Jean Michel Jarre and Vangelis has given me irreplaceable memories and a forever connection between love and music. It’s on the 1001 list, I have it but haven’t explored yet – looking forward to seeing how many of the 10 I can relate to!